There are many electrolytes present in our body like calcium, sodium, and potassium and all of them play a vital role in its healthy functioning (1). A balanced diet easily provides these electrolytes , but at times, when we sweat out a lot during vigorous fitness sessions or while traveling in the sun, we feel tired out as if the sun is sucking out all the energy from us. Actually, we are losing the electrolytes. Also, we tend to lose them when we succumb to a disease. The body faces a shortage of these electrolytes during pregnancy also. In their absence, some changes in the body can be noticed such as white fingertips, fast heartbeats, and skin that takes longer than usual to return to normal shape due to the reduced elasticity. Hence, they must be supplied to the body as they regulate our muscles, nerve function, pH of the blood, and keep our blood pressure in control. Following are the tasty and nutritive homemade electrolyte drinks that can provide you strength and can be easily prepared from the ingredients available in our kitchen. You won’t have to spend a long time in the market in search of electrolyte drinks anymore! Salts keep your body electrically charged and maintain cell voltage. It contains minerals (sodium, potassium, calcium, and magnesium) required by our body. 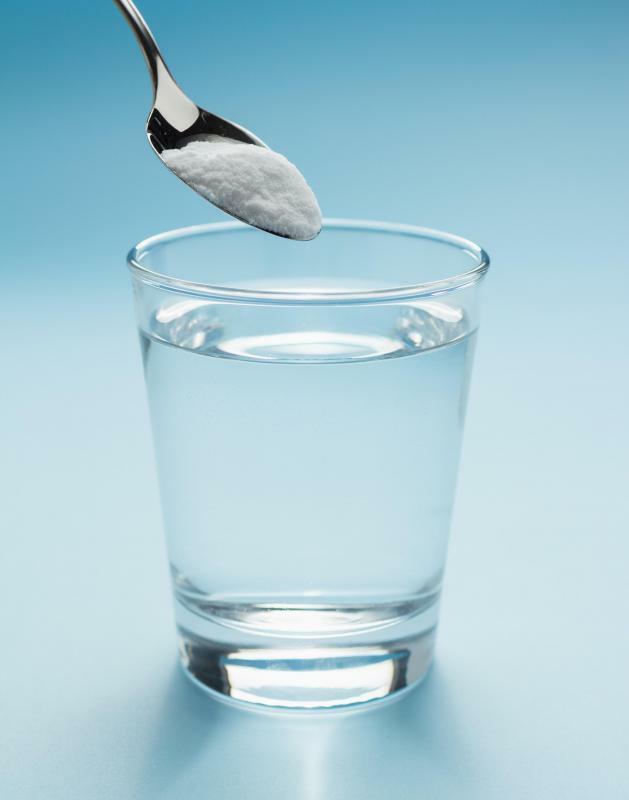 Due to this, salt is an active ingredient in all the electrolyte drinks. Sodium chloride is present in all the salts but some of them contain potassium iodide which enhances the taste of your drink. Sodium is the electrolyte that we lose the most during sweating. You can mix a pinch of salt in a glass of water. Drink it whenever you feel low on electrolytes. It can also be recovered by having some chocolate milk and a bun with peanut butter. Citrus fruits are rich in vitamin C. Out of all, lemon is the best citrus fruit to act as an electrolyte (2). Fruits such as orange, lime, and grapefruit also work great for replenishment of the lost electrolytes. These fruits are also abundant in the essential minerals like potassium and calcium. You can consume these fruits in the raw form or drink their juice to recover the amount of electrolytes in your body. They can also be added to different recipes to enhance their taste. Many of us have grown up drinking this delicious drink, especially during summers. This is the basic homemade electrolyte drink for dehydration that can be prepared with simple ingredients like water, sugar and salt (3). Take a cup of water. Add 2 tbsp of sugar and a teaspoon of salt to it. Mix well and drink to freshen up. It provides immediate strength to our body. Alternatively, you can also use honey instead of sugar. To enhance the taste, you can add some mashed mango. You can even add slices of certain fruits to provide a soothing flavor of that fruit. The balance of electrolytes in coconut water is same as our blood’s electrolyte balance. So, this works as an electrolyte replacement drink (4). At the same time, it is refreshing and delicious. Another name for coconut water is “Nature’s Gatorade” because of its extremely high level of potassium content. It is a power-bank of potassium and contains other essential electrolytes. No added sugar makes it fat-free and a natural way to replenish the lost minerals. This fruit contains 90% of liquid. The watermelon juice is a great relief for the muscle pain which results from a tough workout. The fruit is rich in lycopene, an antioxidant that keeps the heart healthy. Watermelon contains important electrolytes that are essential for nerve function and heart health that gets depleted through perspiration. Consumption of this fruit juice enriches the body with vitamins and electrolytes, the fluid helps fight dehydration and protects from fluid imbalance. After a long workout, if you feel exhausted and want to regain energy then try this drink, which uses ginger water as its base. 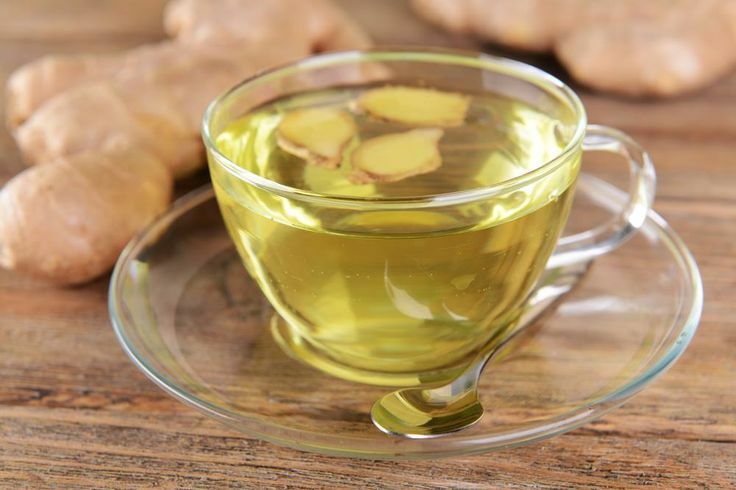 This tangy spice calms your stomach and ginger is helpful in reducing muscle pain. Pour water into a pan and turn the stove on. Add ginger slices to it. Heat it for 5 minutes. Turn off the flame and cool the ginger tea. Transfer it to a container and add 2 cups of water to it. Now, add lemon juice, sea salt, and honey. Watermelon juice, coconut water, and green tea are some of the ingredients that can be added to this basic ginger drink to enhance the taste and increase the content of electrolyte. Cranberry is a good option to rejuvenate the depleted electrolytes. Its sweet and sour taste along with a blend of star anise makes the drink palatable for a person with low levels of electrolyte. 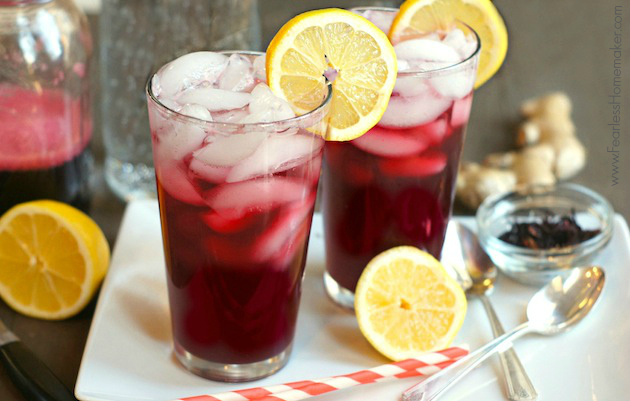 Cranberry juice is helpful in cleansing kidneys and bladder while detoxifying the lymphatic system. Mix all the above ingredients. If you are using star anise, then leave it in the mixture for an hour and strain it. This drink can be consumed after a heavy workout or when you feel exhausted and depleted of all the nutrients. Chia seeds make a very good energy food– full of omega 3 fatty acids, protein, and fiber. These seeds have the ability to keep you hydrated because they can hold 9 times their weight in water. They are available in packs, which do not require refrigeration and can be carried to the gym or any other place. Coconut water can be combined with Chia seeds to make a power booster electrolyte. The drink is full of nutrients. You can add a fruit juice according to your flavor. This healthy drink can keep you power-packed for hours. Take a cup of warm water and add chia seeds to it. When the seeds get scattered in the water, refrigerate the cup. Let the seeds remain in the water for overnight. Next day, Chia seeds would be swollen in size and the water would gain a thick consistency. Add the juice that appeals to your taste buds to the gelatinous chia seeds-water mixture and serve chilled. Mix all the above ingredients in a hand blender and top the drink with few ice cubes. The drink tastes great, and at the same time, provides energy to the body. Combine all the ingredients in a bowl and whisk well. Drink this refreshing drink whenever you are low on energy. All the citrus fruits are good sources of electrolytes. Therefore, this orange and lemon drink renews our energy by providing a soothing effect (5). Put all the ingredients in a container and run a blender over it until a smooth paste is formed. 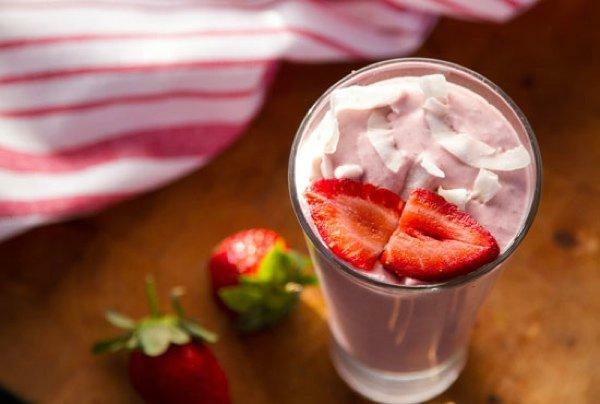 A combination of coconut and strawberry gives a delicious taste to it. Keep all the herbs in a container and cover with a quart of boiled water. Let it remain like that overnight so that the herbs get infused in the water. Strain the solution and empty it into a container. Add lime juice to it. Store it in the refrigerator and consume by adding honey or stevia as that would enhance the taste. Put all the herbs in a container and pour a cup of boiled water into it. Let the mixture stand for overnight so that the nutrients and minerals of herbs are absorbed by the water. Strain the liquid through a fine mesh removing the herbs. Squeeze the orange juice into the tea and a tbsp of honey can be added to sweeten it. Refrigerate until use. The herbal electrolytes contain antioxidants such as vitamin E, carotenes, and vitamin B that play important role in the functioning of liver. U.S Department of Agriculture National Nutrient Database has stated that a 100 g of banana contains 5 mg of calcium, 22 mg of phosphorus, 358 mg of potassium, and 1 mg of sodium. 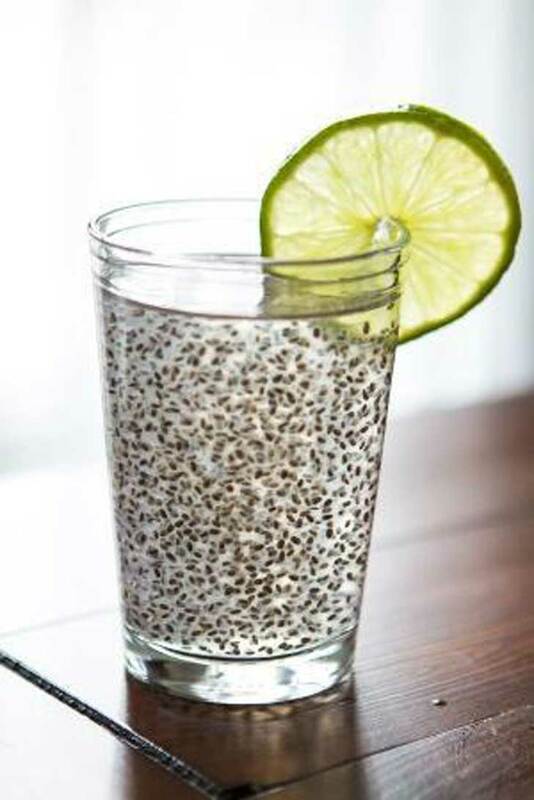 Steep Chia seeds in water for five minutes and then drain. De-seed orange and cut kale leaves into small pieces. Cut banana into large chunks. 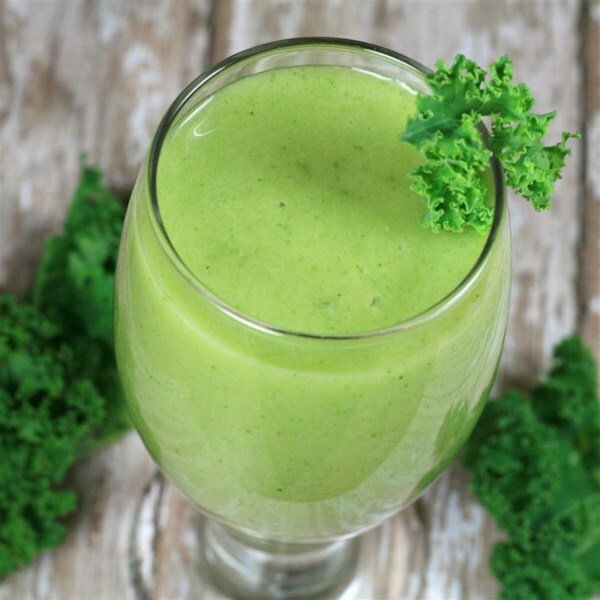 Put orange, kale, and Chia seeds in a blender. Add a little water and consume it to regain energy. Mix all the ingredients and store in the fridge. You can use it in case of illness or when going out in the sun. Honey should be used in electrolyte instead of sugar, as it contains three different natural sugars – glucose, fructose, and maltose. Each of these sugars is absorbed into the bloodstream at different levels. Pour half a cup of distilled water in the pan and let it boil. Turn off the flame. Add honey and sea salt to it. Stir it well until all the ingredients get dissolved properly. Add all the other ingredients and store it in a big bottle in the fridge. Consume whenever you feel low. Put celery stalks and apple in a jar and blend to make a smooth puree. The green colored healthy drink should be consumed fresh. 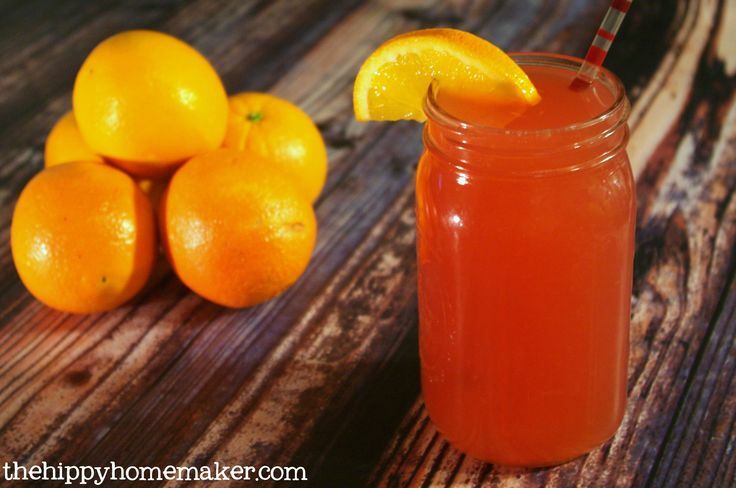 This is a homemade electrolyte replacement drink. Celery is rich in sodium, potassium, magnesium, chloride, and phosphorus. Apple contains certain electrolytes and sweetens the taste which helps replenish the lost electrolytes. Blend kale and frozen banana with a little amount of almond milk. Once a fine puree is made, add the remaining almond milk. The smoothie is ready to enrich the person with all the power and strength. Banana and almonds are excellent sources of magnesium and potassium while kale is rich in calcium and magnesium. This is the best homemade electrolyte sports drink. Put all the ingredients in a container and whisk. Serve chill. This drink contains high quantity of sodium, potassium, and calcium too. It is one of the best electrolyte drinks for dehydration. During extensive exercise sessions, water works great in hydrating our body. If you do not have anything else, then dwell on water. Drink at least 8 glasses of water in a day to stay hydrated. A little amount of baking soda can also be added in the above recipes as it contains different minerals from sea salt. Besides the various drinks that one can have as an electrolyte, several food items can also be taken for the replenishment such as avocado, broccoli, yogurt, tofu, and apricots. Researchers have proven that a calcium-rich diet equals an electrolyte drink. Magnesium helps fight fatigue. When you’re low on the mineral, your body demands more oxygen and energy during physical activity, and hence you tire more quickly. Therefore, try to consume magnesium rich food. Cold drinks do not contain minerals or electrolytes and are unable to supply the needs of the body. So, don’t depend on them to get hydrated.